Some of the most common emergencies that property managers encounter are weather-related, with flash flooding right at the top of the list. Just because flash flooding is common doesn't mean it can't produce grave results. Here's how you can prepare. As a property manager, you must be prepared for all types of adversities, including issues with the weather. In fact, bad weather situations can be especially daunting, given their unpredictability. With an entire site and tenants to care for, such weather occurrences can have drastic and immediate effects for the property and the property manager. Take, for instance, flash flooding. Flash floods happen quickly, hence their name. Flash floods are typically caused by heavy, continuous rainfall, melting snow, or oversaturated soil. They usually develop within six hours of a rainstorm, and in that short time, they can destroy buildings, uproot trees, trigger mudslides, and even carry away vehicles (and people). Most of us imagine flash floods to be no more than ankle deep, but they can actually climb to heights of thirty feet or more. In fact, flash floods are considered the most dangerous type of floods, because they “combine the destructive power of a flood with incredible speed and unpredictability,” according to the National Severe Storms Laboratory (NSSL). According to the National Weather Service, flash flooding is the leading cause of weather-related deaths in the United States. In 2016, there were 126 deaths in the U.S. caused by floods. States most susceptible to flooding include Florida, Louisiana, California, New York, New Jersey, Virginia, South Carolina, North Carolina, Massachusetts and Georgia. Furthermore, ninety percent of all annual disaster-related property damage is caused by flooding, according to the Federal Emergency Management Agency (FEMA) . 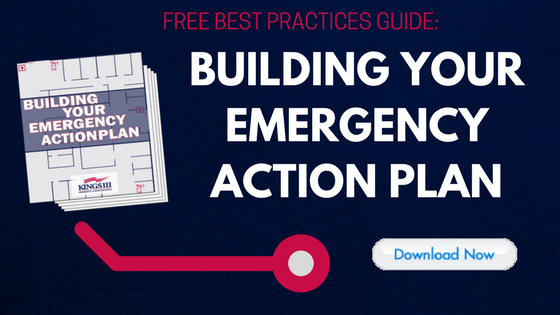 Prepare an emergency kit (and advise your tenants to do the same). This kit should include prescription medications, important mementos and documents, personal and pet needs (bottled water, food, clothing, cash, first-aid kits). Many floods take at least 3-5 days to recede, so plan for your supply to last at least that long. Keep flood-fighting equipment on hand. Sandbags, plywood, lumber, plastic sheeting, trash bags, shovels, brooms, work/insulated boots and gloves are some of the essentials to have handy. Know your local flood plan (and share it with your tenants). Check with your local government for the proper procedures (including evacuation, shelters, and other safe locations) in the event of a flash flood. Review your property’s procedures and rules regarding flash flooding situations, and make sure your tenants are aware of them as well. If you do not currently have such procedures set in place, be sure to do so within your Emergency Action Plan. Download a weather-report app on your phone, or keep a battery-powered radio or TV nearby. Flood watches and warnings may be accompanied by vital evacuation instructions. Highly recommended: the FEMA app (available on Apple, Android and Blackberry mobile devices), which shares weather alerts from the National Weather Service (NWS). Connect to The American Red Cross. This organization helps disaster victims by offering safe shelter, meals, and relief supplies. Click here for more info. If your area is instructed to evacuate by local authorities, don’t reconsider, and instruct your tenants to do the same. 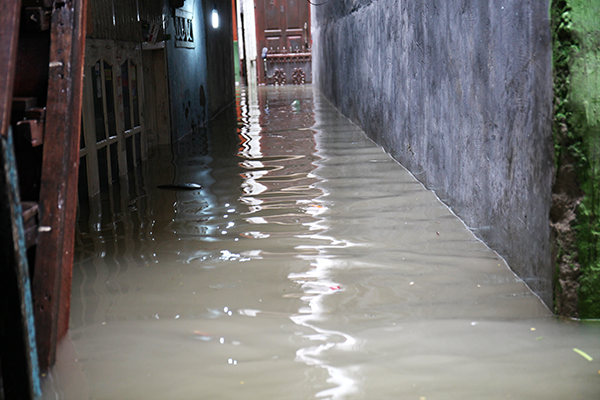 Avoid standing in rising water, and don’t stay where flash floods could be threatening. Find the location of the nearest, safest highest ground ahead of time, and share this information with your tenants. Avoid interacting with flood water. This type of water is not only dirty but hazardous; it carries bacteria and exposes you and your tenants to possible electric shock. Make sure to keep children away from flood water -- they often think of it as a chance to swim and play. Stay away from tap water. You shouldn’t just be wary of flood water during these times. Even water from the sink could be contaminated in the event of a flash flood. Have plenty of bottled water on hand. Consider a separate insurance policy for floods. Most traditional insurance policies may cover water damage from a leak, but not damage from a natural disaster. Consider a flood insurance policy that covers the event of flash floods. For information on flood insurance, visit FloodSmart.gov. The National Flood Insurance Program (NFIP), which is administered by FEMA, connects to more than 80 private insurance companies to offer flood insurance to homeowners, renters and business owners. Install a two-way emergency call system. A two-way voice communication system may act as a lifesaver during a flash flood. Make sure that your tenants know where all emergency phones on the property are located and are aware of the benefits associated with using one. Conduct a property inspection following any flash flooding. More adverse weather preparedness: learn what essential precautions to take to prepare for hurricane season. By following these steps and sharing those necessary with your tenants, they’ll feel safer and will have more knowledge about protecting their (and your) property, and you will have an increased chance of protecting your asset or building and minimizing damages in the event of flash flooding. To learn more about how Kings III can increase the safety and reduce risk and liability on your property, visit www.kingsiii.com.